Reducing the starchy carbs in your dinner is a proven way to stimulate weight loss. 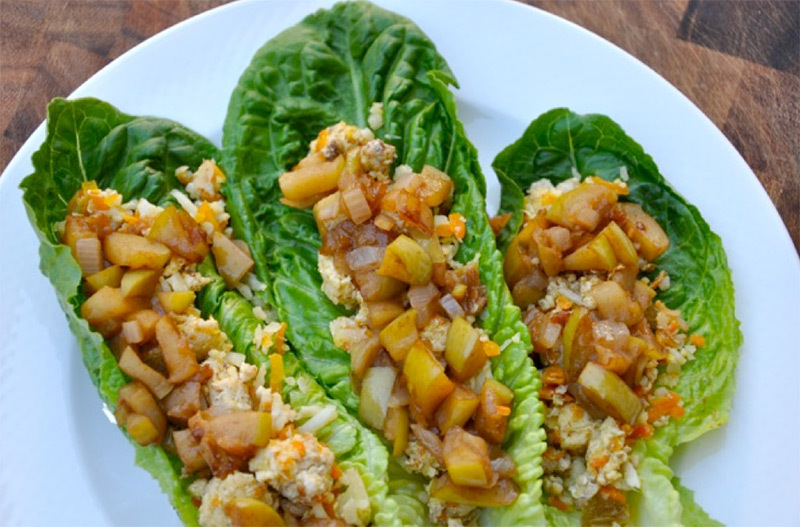 This means making changes like using lettuce leaves instead of tortillas and swapping out rice for shredded cauliflower.Dinners like these Turkey Lettuce Wraps will help you quickly reach your fat loss goal. The shredded cauliflower, rice and onions in this recipe make an amazing substitution for grain-based pilaf. With the addition of lean, ground turkey and lettuce this comfort-food tasting meal is actually quite lean and green. *At the top of every minute perform 5 burpees. Sunday, July 29thBlog, Pictures, W.O.D. Tuesday, July 31stBlog, Pictures, W.O.D.